Malta Gaming Authority licence number is MGA/CL1/405/2007. 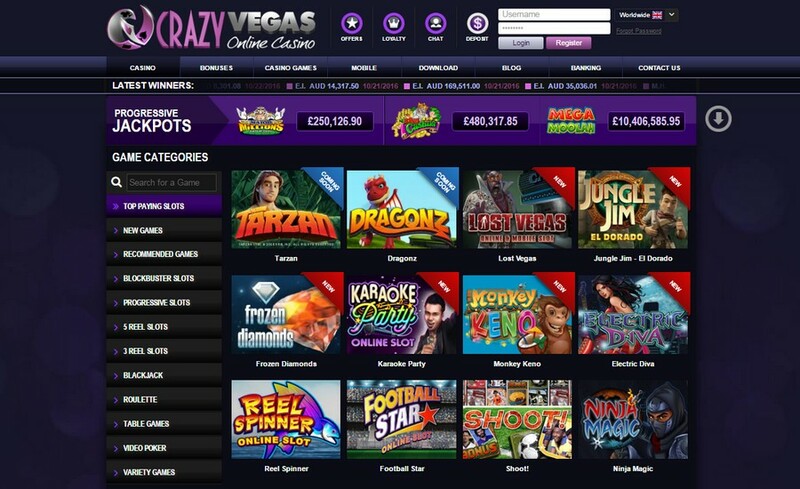 Crazy Vegas Casino, being a part of Vegas Partner Lounge network, works since 2001. During this time, the company has deserved the respect of users due to favorable promotion actions and the huge choice of games. Recently it has made serious changes to work. The bright tone has been replaced with the strict dark design. The lobby of casino became more functional and convenient. The most significant prizes were noticed last years. 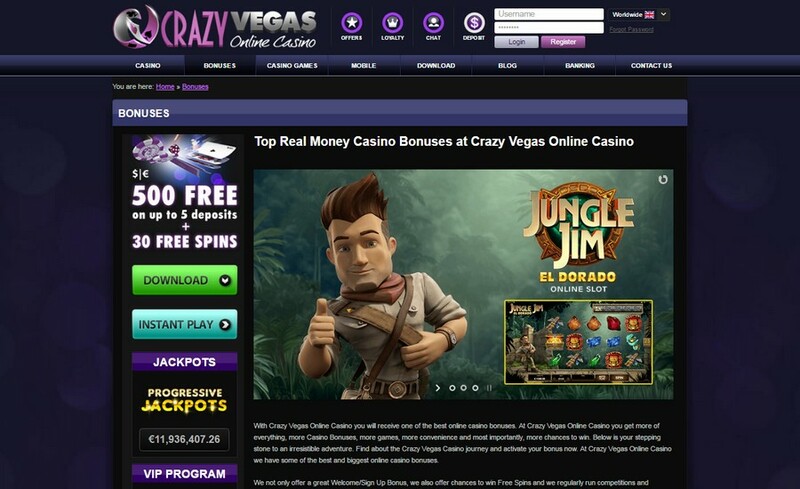 Thus, in September 2010 the jackpot of $4170128 was paid to one of the users. More than 20 games with a jackpot are presented, and quite large sums are paid every week. It has obtained accreditation that means the quality of services data security of the users. The company functions on the popular platform. It is possible to play as from the browser (if necessary, to install the updated version of flash player) and in the downloaded version. Also, the place offers the mobile phones application that will allow playing anywhere. As well as the website, a lobby is available in several languages. The design of games is made in high quality. 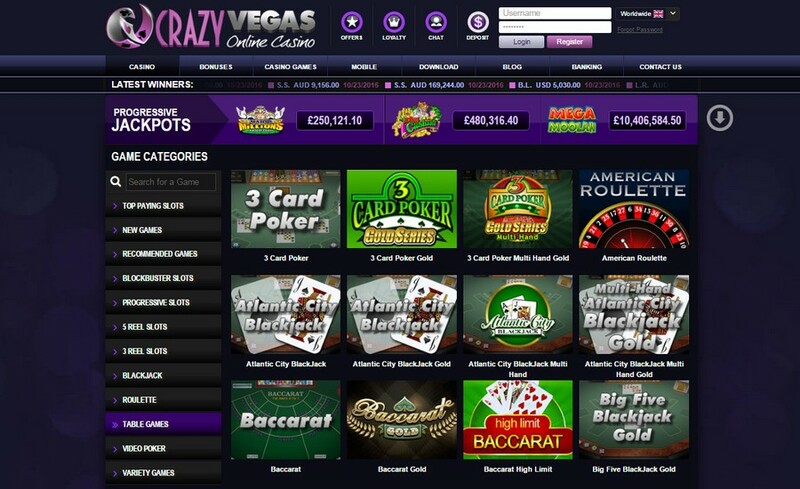 The online casino offers a huge variety of methods of input and withdrawal of funds. Depending on the used method, you receive some percent of the money put into the account in the form of the bonus sum. Instadebit (when using all these methods the bonus of 15% of the deposit is charged). Using EZPay systems the percent of a bonus is slightly less – 10%. Using cards, Instadebit and Entropay systems a bonus make 5 percent. The minimum sum of replenishment is equal to an equivalent to 20 dollars at a game in dollars. The request for withdrawal of funds is processed within 1-3 days. new player welcome bonus of 100% for the deposit to $500. The uniqueness of this offer is that you can divide the bonuses. You can get $500 for the first input at once or divide it into 5 parts. Irrespective of the game in what you play, the casino has C-bucks. Later, they can be exchanged for free spins, cash or the right for participation in a tournament. This hazardous place pleasantly surprises with a set of additional opportunities: for example, the Paycheck technology, allowing players to see the full history of rates. You will be able not only to check all cards, which were used in the game but also to check where the ball on a roulette drum stayed and many other surprising options. Rates can be looked through for the last three days, and the program is updated each 45 minutes. Also, you can watch a condition of the account, using the CashCheck service. It is possible to see all deposits, bonuses and cashing, which occurred from the moment of your registration that gives you feeling of complete control over the account. The support service is available round the clock without days off by e-mail, live chat, phone or ICQ.